AMR was to assess the logic and attractiveness of a merger between Bendon (owned by Wicks, a New York-based private equity fund specialising in information, education and media) and Dalmatian Press. Will coloring and activity (C&A) be an attractive market in the next 3 to 5 years? Do Bendon and Dalmatian have sustainable competitive advantages? What are the prospects for the combined businesses? 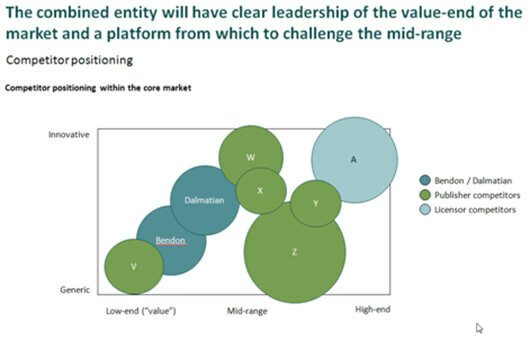 AMR identified not just where the value lies in the core market, but also in the key segments.